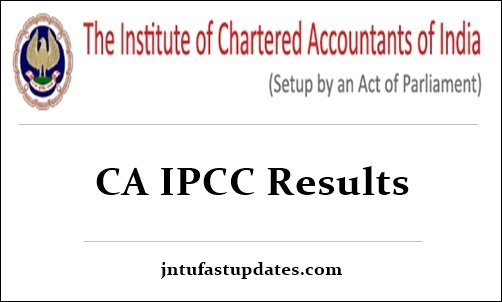 CA IPCC Result 2018: Institute of Charted Accounts of India (ICAI) is declared the Integrated Professional Competency Course (IPCC) November 2018 Result on 8th feb. Hence the hopefuls who have given the Charted Accountancy IPCC exam in the month of November can get ready to download the result. Stay visiting the ICAI website, icaiexam.icai.org to check the update regarding the result. As per the recent updates, the CA IPCC Result is anticipated to release in the 3rd week of January (tentatively). Hence the competitors can get ready to check CA IPCC Result, score shortly. The result can be accessible in online, email, and SMS formats. Aspirants can download and check the result as per their interested manner. Institute of Charted Accounts of India (ICAI) successfully conducted the Integrated Professional Competency Course exams in November 2018 on various dates. IPCC Group I exam conducted on 2nd, 4th, 8th, and 10th November and IPCC Group II examination has been conducted on 12th, 14th, 16th, 18th, and 20th November 2018. The exam has been organized in various examination centers across the country. CA IPCC exam is the 2nd level examination after the CPT or after the Graduate Degree course. Students who qualify the IPCC exam with a good score in order to get the admission in CA course. Aspirants competed for CA IPCC exam this year can check the result shortly from the official website of ICAI. Students can check CA IPCC results namewise, numberwise, centerwise and regionwise. More details regarding CA IPCC November Result, downloading process, and other relevant information has mentioned in this article. icaiexam.icai.org or icai.nic.in – Visit any of the portals. Check CA IPCC Result, score and take a printout for reference. Aspirants must score 40 marks in each subject and 50% above on aggregate (in both groups) to clear the IPCC exam. The ICAI will release the CA IPCC November 2018 Merit list along with the result. Students who score more than 55% of aggregate will be listed in the merit list. And also top 50 all India rank holders list will be released by IPCC. The ICAI will issue the rank certificates to students based on their rank secured in IPCC examination. To obtain the rank certificates students must pursue the following standards. Must pass the exam in one attempt. Should not have the exemption in any paper. The rank certificate will be issued for top 50 All-India-Rank holders. All the competitors who have competed for CA IPCC Examination and cleared the test will get the rank card and marks sheet. Which is going to be available after 2 weeks of the result declaration. Candidates who passed the IPCC exam with more than 70% of marks will get “Pass with distinction” certificate along with the marks sheet.